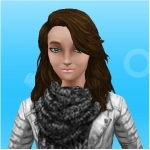 Ok, I just got my first new hairstyle from the current Mean Curls event, I just trained several sims in fashion design so it was easy, but as soon as I got the first hairstyle, the event disappeared!!! The event is no longer listed, in my hobby tab where the fashion designer hobby should be red for limited time events, the red disappeared, and the first collection of clothes reset automatically so it’s all empty. I had a sim finish a 10 min fashion design and the item of clothing she finished started a new outfit with 3 life points as the reward instead of a new hairstyle, the whole list of new curly hairstyles disappeared too!! Im trying to explain this clearly, but it’s hard, lol. I Parkland students vs the NRA: Has the powerful US gun lobby met its match in Generation Snapchat? - The Telegraphtried resetting, has this happened to anyone else?? I’m going to be so mad if I can’t complete this after spending 3 days retraining fashion designers only to end up with 1 hairstyle when I had 9 days left on the clock!!!!!!! Same here I couldn't finish french event, but I got most of the items. So far got 6 hairstyles. Already got my favorite - the windswept wonder hairstyle, the last one in the row. Being retired I was able to spend all day yesterday with a team of expendables working flat out, ten minutes over and over again. I'd had enough though by the time it came to tea time. It will be nice to have different styles for my ladies. How long is this suppose to take to get the last two in the list to get a style? I have been doing it for days on end with nothing but repeat fashion items. The event is about to end. I've completed the whole collection from level 1-6 for the first time and was only rewarded one hairstyle (randomly given). Don't tell me that I have to do it all over again and again for the remaining hairstyles? Yep, sorry to be the bearer of bad news but you get one style each time you completely a hobby set. Have as many sims as you can get doing the hobby to complete all of them in time!